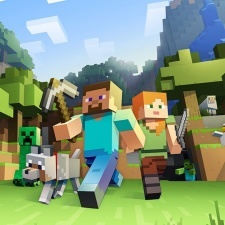 Blocked-themed blockbuster Minecraft has hit 30m sales on PC. That's going off the tracker that's on the game's official website, which - as spotted by GamesIndustry.biz - has crossed the 30m milestone as of Wednesday, April 4th. In total, the Microsoft-owned sandbox construction title has sold 154m copies - as of October 2018 - with 91m monthly active users. That 154m figure is on top of the 150m users the game boasts in China, where a free-to-play version launched courtesy of local firm NetEase. Microsoft bought Minecraft and its developer Mojang back in 2015 for a cool $2.5bn and is now part of the newly-rebranded Xbox Game Studios. The game has been hugely influential, kicking off the careers of many an influencer, being a factor in the rise of the survival game in the early 2010s - which gave rise to the battle royale genre - as well as proving that the alpha-release model could work. This is likely why Steam adopted this model with Early Access in 2013. Minecraft is almost definitely the reason Valve's PC platform is experiencing the difficulties it is at the moment, as PCGamesInsider.biz has explained in the past.